Don’t have a chimney? In today’s modern age you don’t necessarily need one to have the stunning effects of a real gas fire. 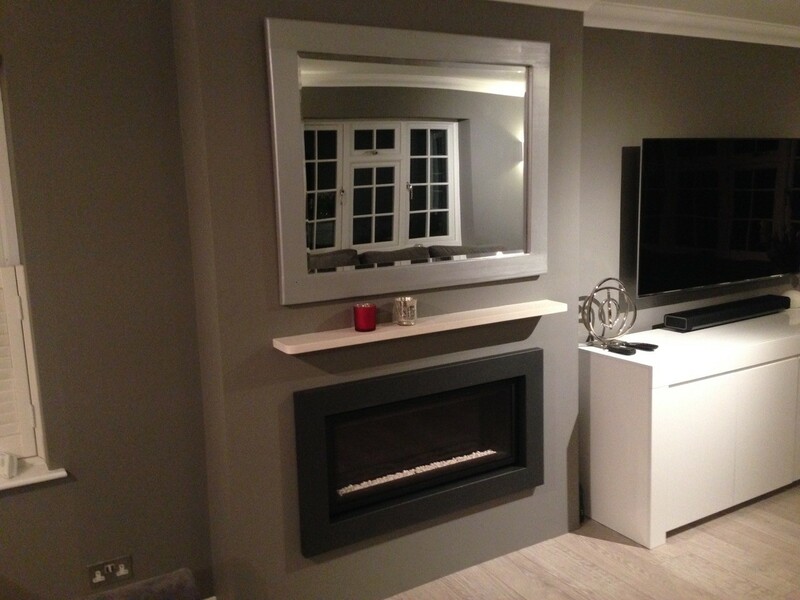 Balanced Flues work with glass-fronted fires only. Here the appliance is sealed from the room in which it is installed and a twin-wall pipe vents directly outdoors. Air for combustion is drawn in through the outer pipe whilst the inner pipe removes the combustion gases to the exterior of your property. Depending upon the fire or stove selected, the twin-walled pipe may exit horizontally through an external wall or vertically through the roof with a Terminal fixed to the wall/roof. 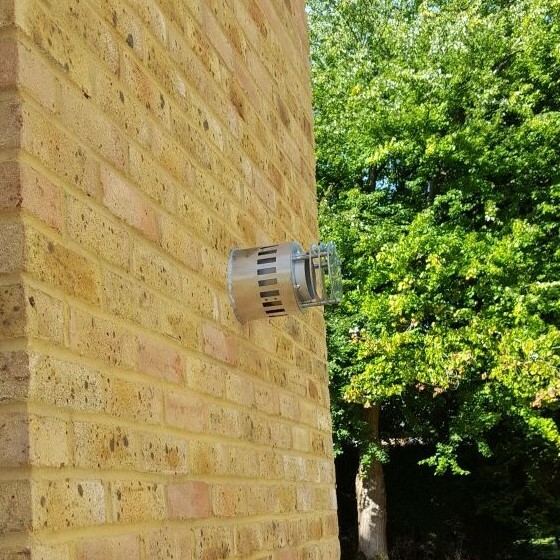 No need for huge flue pipes tracing along the side of your property. The benefits of Balanced Flue comes down to its physics. 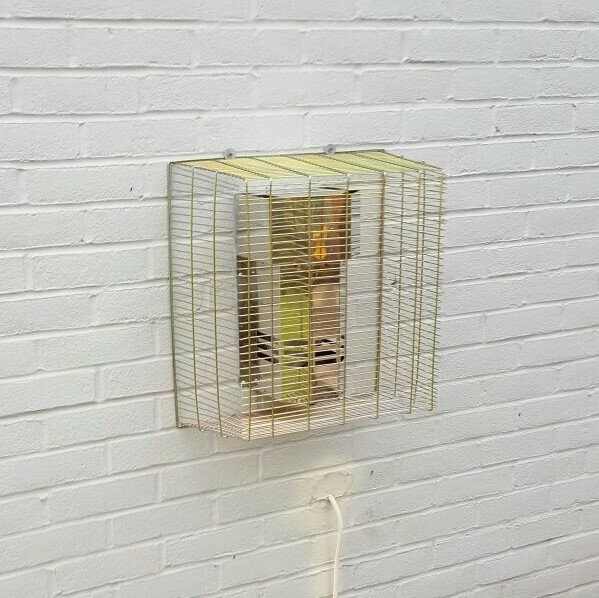 Due to the way it works, it doesn’t take air from the room it’s situated in, resulting in a higher efficiency than that of conventional flue fires. As the air is naturally drawn through the Balanced Flue Pipe additional Ventilation is not required. No fan assistance, no electrical supply and best of all; no noise. 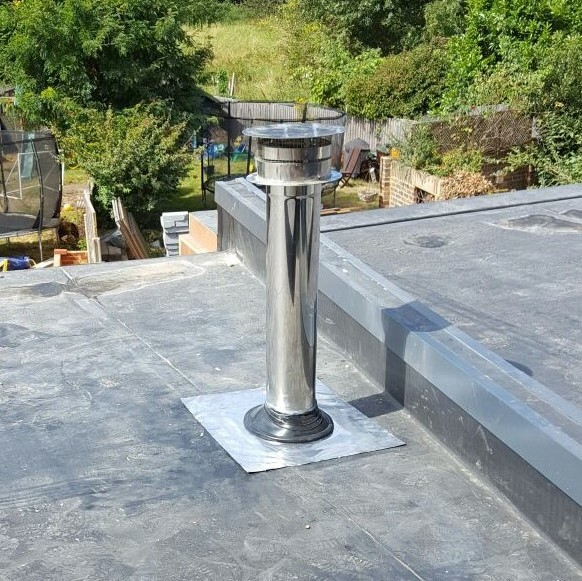 Provided an external wall is within reach of the fire’s proximity and it conforms to Balanced Flue specifications; Balanced Flue may be the solution you’re looking for. If Balanced Flue sounds like the type of fire for you please do take a look at our selection. 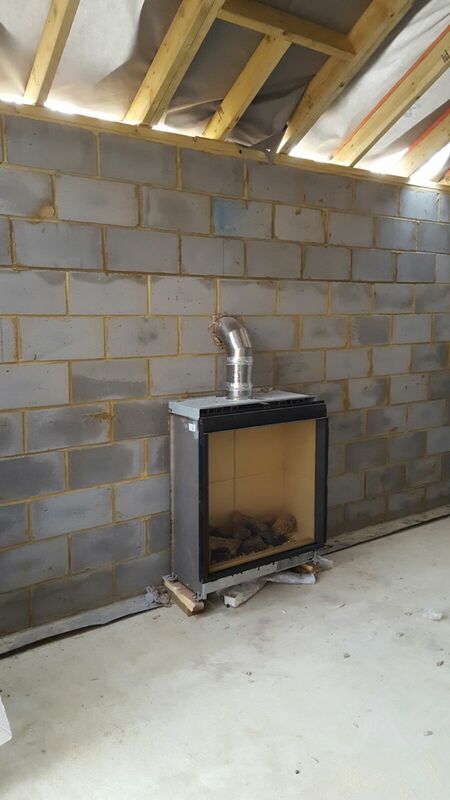 Despite how clever, efficient and easy the installation of a Balanced Flue Fire is, seeing a big silver pipe may not be the best way to spruce up your room. 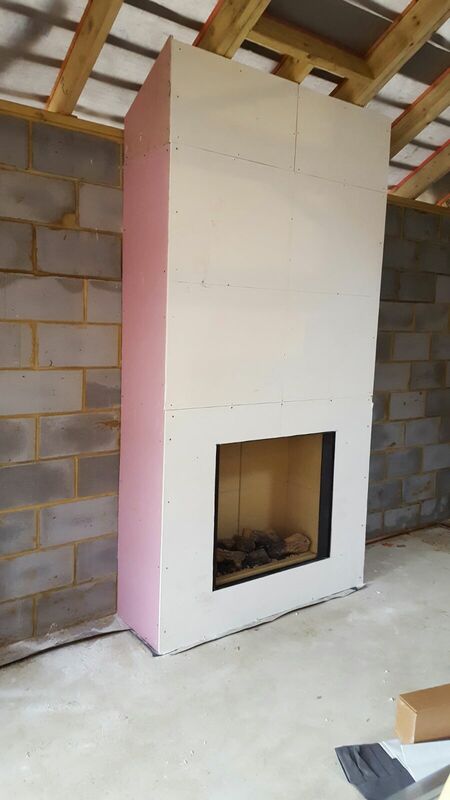 How we disguise the flue is building a False Chimney Breast. 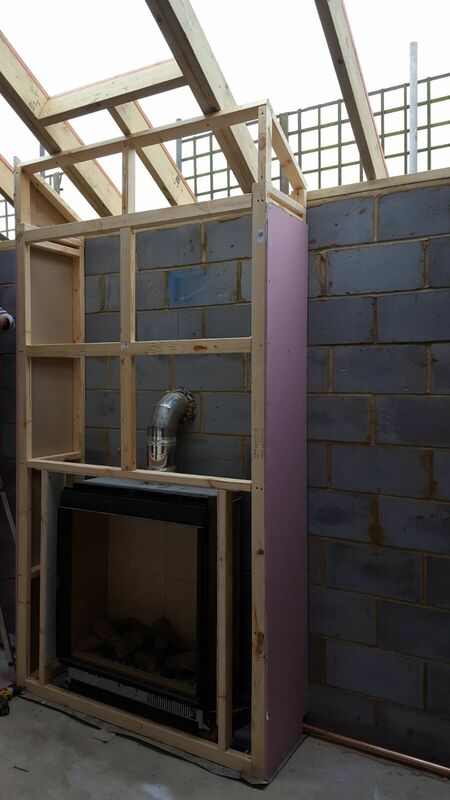 Below you’ll notice a progression of the False Chimney Breast being built. 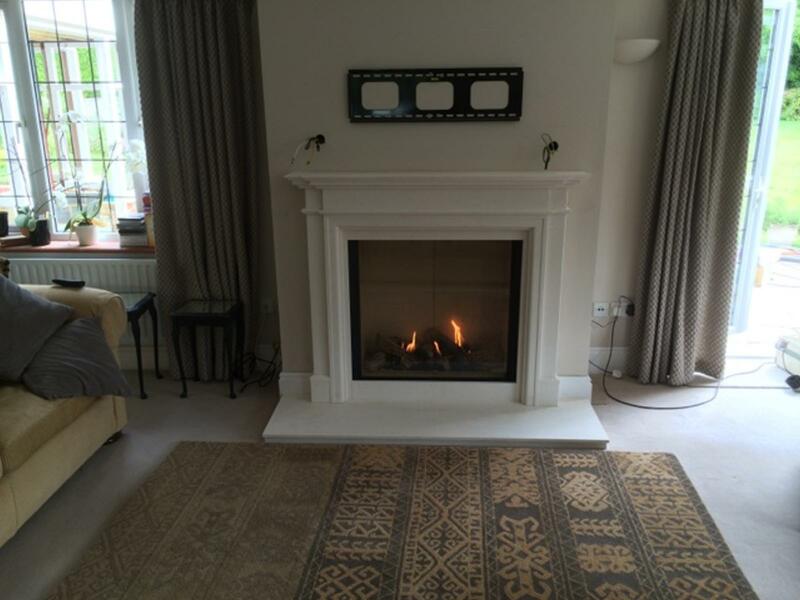 For more ideas see our Balanced Flue Inset Fires selection. For more ideas see our Balanced Flue Hole in the Wall selection. Like all fires Balanced Flue fires need to have easy access to the atmosphere. Unlike most indoor fires however, Balanced Flue fire do not require big flues tracing up the property to the pitch of the roof. Instead a much more conspicuous terminal is used. It is essential each flue outlet adheres to clearances set according to respective manufacturers. To ensure clearances are met we offer non-commital survey visits, please Contact Us for more information. Please see below for images of each type. The most common of Balanced Flue terminals, this horizontal exit terminal is above head height and therefore does not require a guard. The rear exit terminal is commonly at knee height, therefore to protect the terminal a guard is installed. 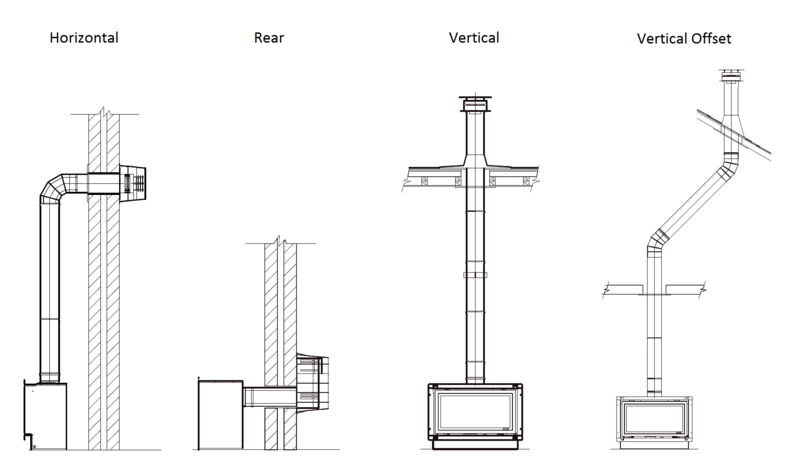 The vertical terminal is recommended to be installed during the installation of the roof itself. This is to avoid complications with rafting, tiles and other roof components. All vertical terminals are weather proofed and sealed.